It is intended to set up a page providing relevant data - as many as possible and as complete as achievable - on shinisaurus crododilurus. 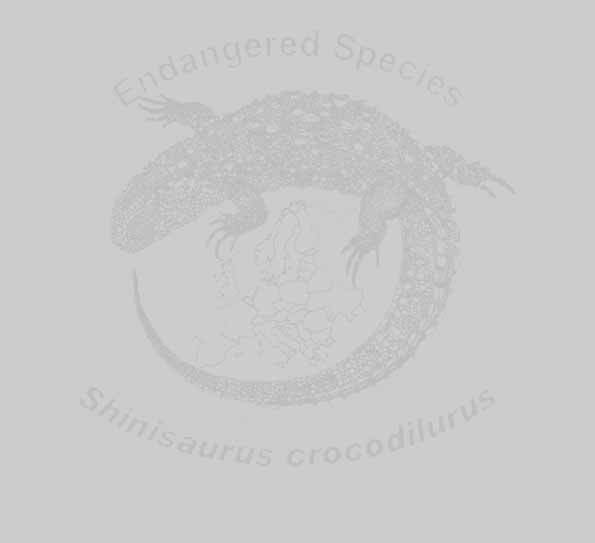 In 1990, Shinisaurus crocodilurus has been included into the "annex II" of CITES. Only one year later the number of animals living in their natural surroundings has been stated to be only 2,500 specimens. It's been twelve years since Zhang's estimate of 1991 - could there be more animals living in our "Terraria" than in their natural surroundings already? A survey may become imaginable, clarifying whether there are distinctive characteristics allowing to distinguish a single animal from another - without transponder. This could allow to establish a fotodocumentation - similar to the one required (effective mid of 2003) for European turtoises. Are you interested in the project? Would you like to support it and even sponsor it by contributing your data? Of course everythings depends on the number of shinisaurus crocodilurus keepers participating in the project. So I should like to ask you to add name and adress of other keepers known to your own data. Obviously all personal data will be considered confidential information. Please feel free to contact me if there are any questions - I shall be happy to answer all mails sent.